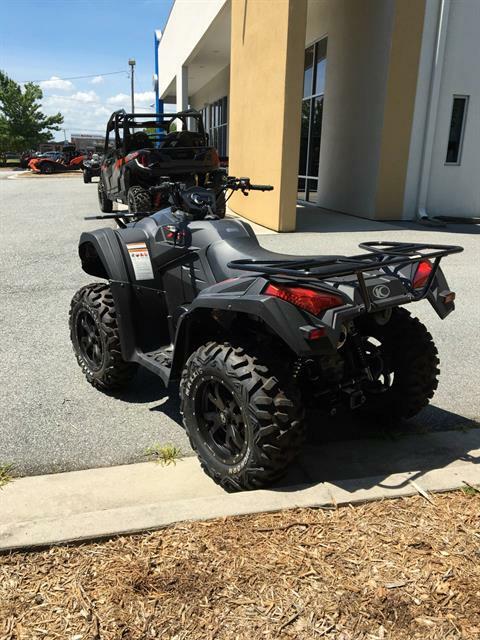 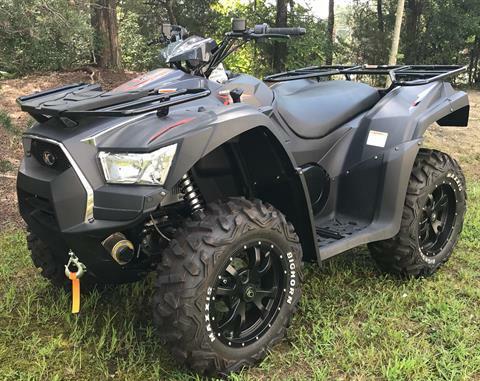 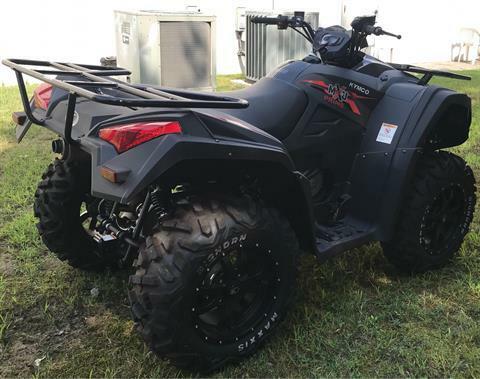 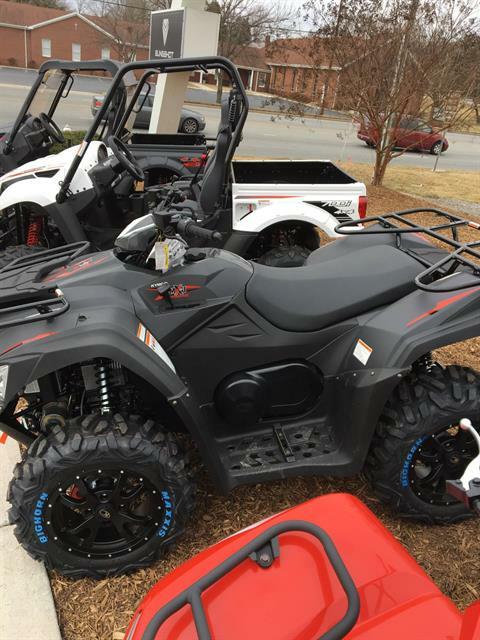 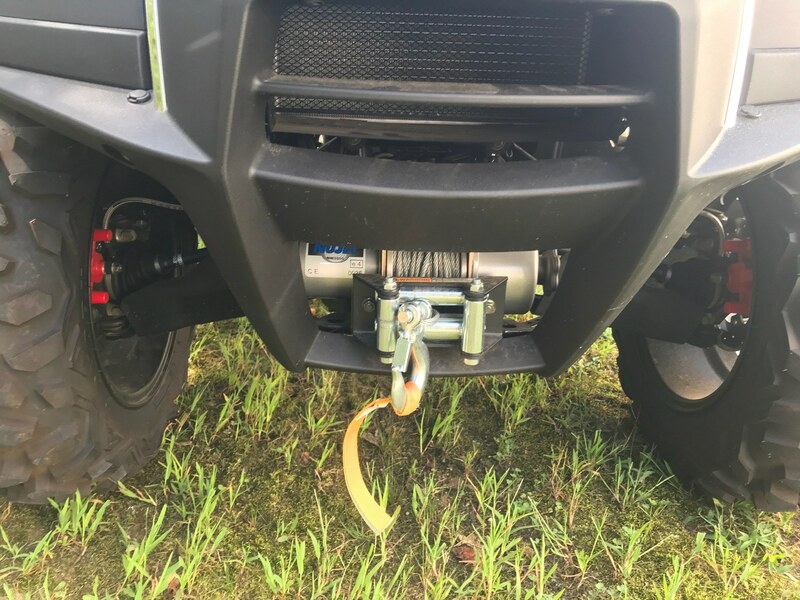 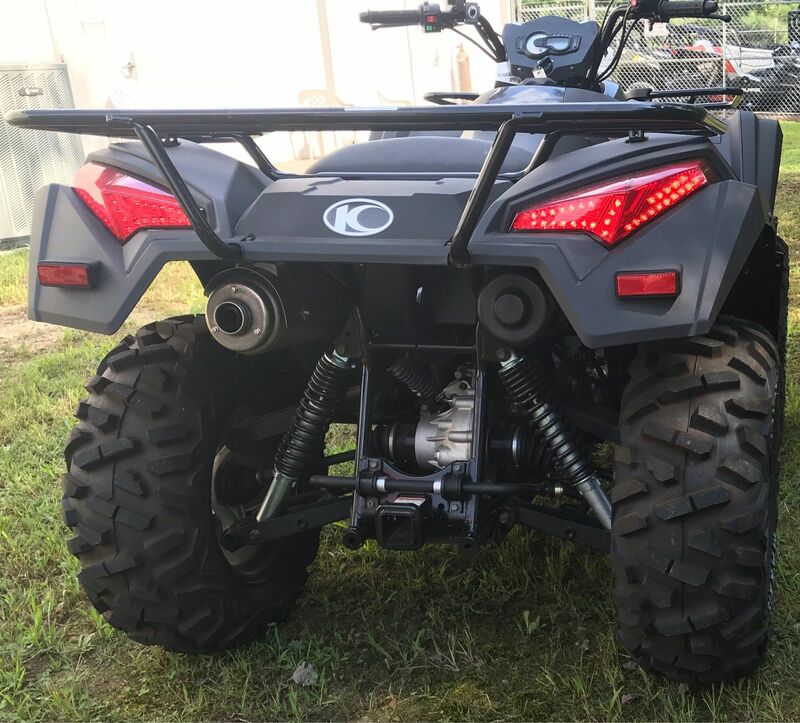 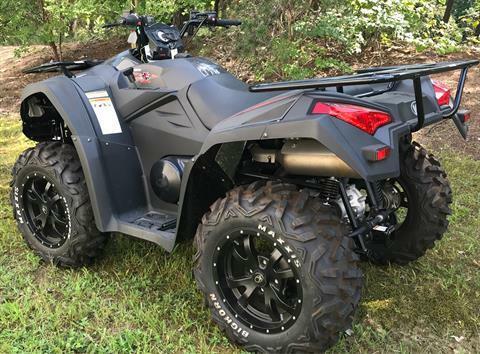 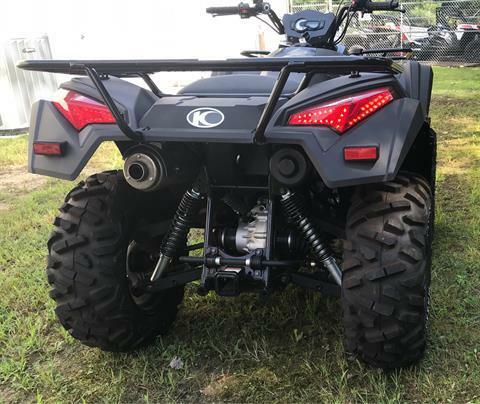 The optioned-out and ready to ride MXU 700i LE Prime tops the ATV field with its black aluminum 14 inch alloy wheels, 26 inch tires, factory-installed 3,000 lb. 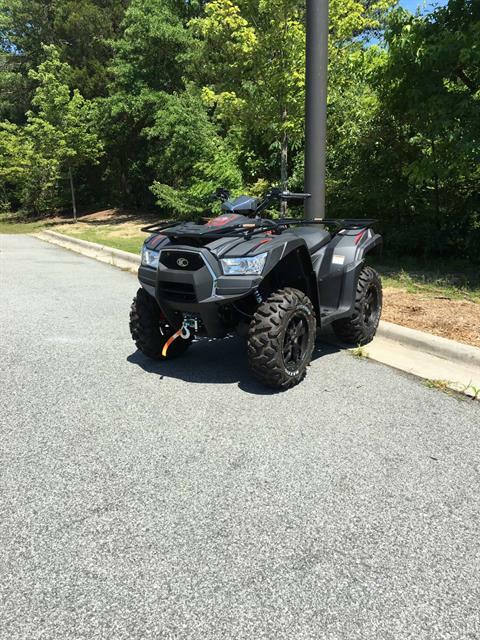 winch, EPS, Elka Shocks Stage 1, brush guards, and hand guards. 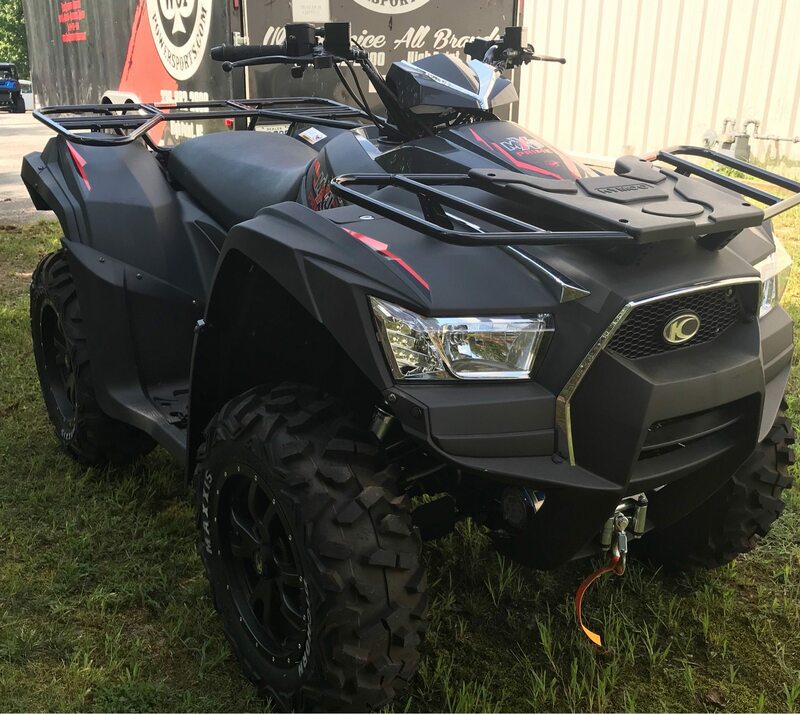 Based on KYMCO’s championship-winning MXU 700i LE, the Prime is built on KYMCO’s high-powered 695cc, fuel-injected, liquid-cooled, 4-stroke, 4-valve, engine. 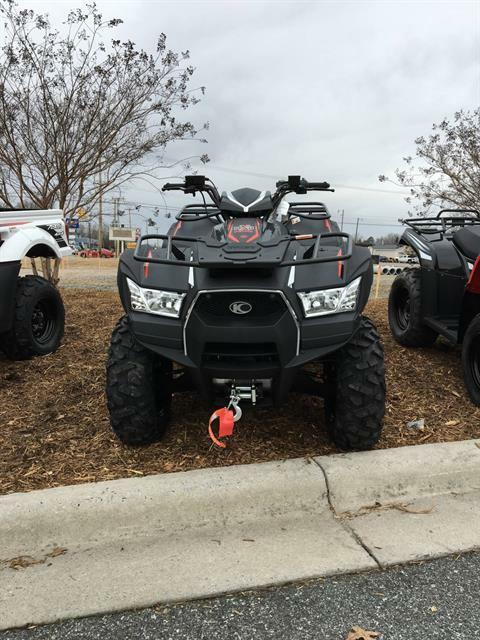 The MXU 700i LE Prime also features push-button, on-demand, 2WD/4WD, driven by KYMCO’s automatic CVT transmission with H-L-N-R-P drive modes. 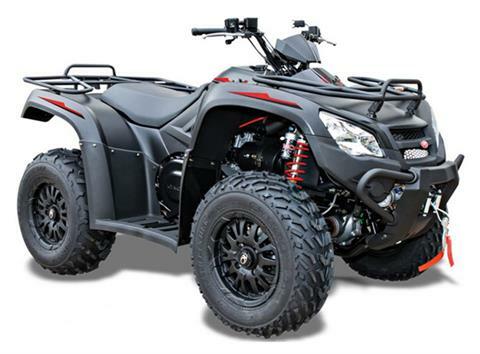 Dual A-arm suspension at each corner, with stopping power provided by dual-disc front brakes and a shaft-mounted rear disc brake, for sure-footed control over any terrain. The chassis has high ground clearance of 10.4 inches to please the adventurer from rocks to ruts. 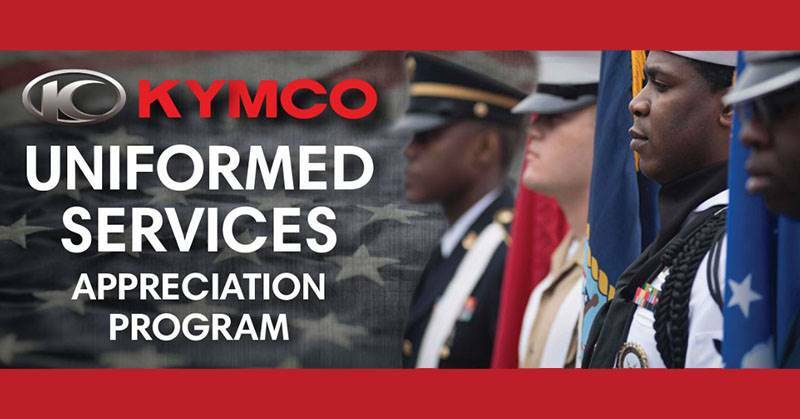 KYMCO’s active Engine Braking accentuates control, and the MXU 700i Prime comes outfitted with left and right locking topside fender storage, right-rear under-fender storage, a 12V accessory outlet. 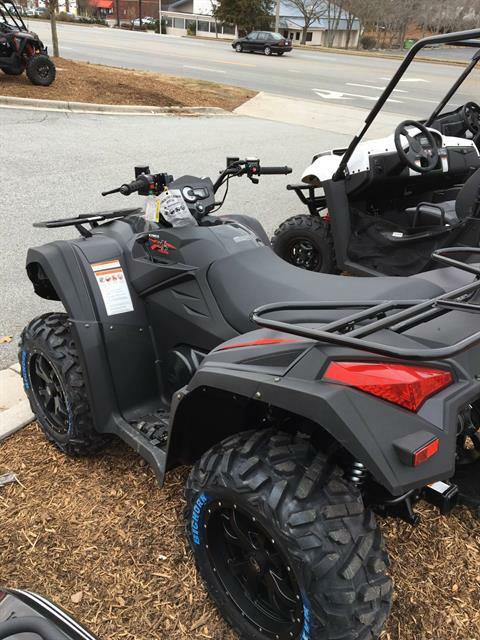 Available in Matte Black.